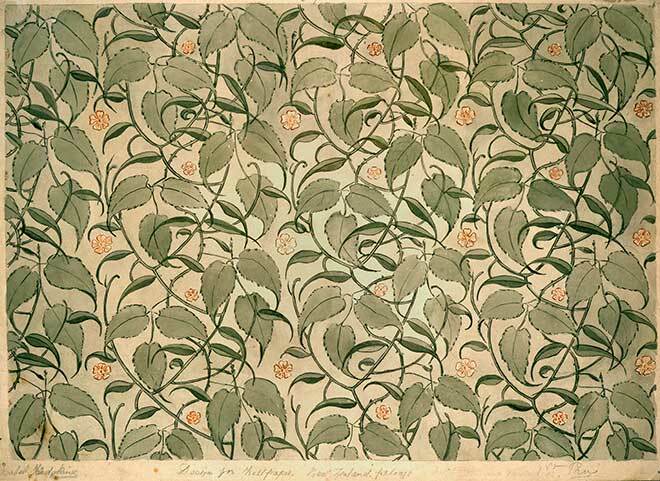 This design won first prize for Isabel Hodgkins (sister of painter Frances Hodgkins) at the New Zealand Industrial Exhibition held in Wellington in 1885. Her design is a fine example of art nouveau style, which was becoming fashionable at this time. The exhibition was held in a large Lambton Quay building from 1 August to 31 October, and attracted 133,000 visitors.